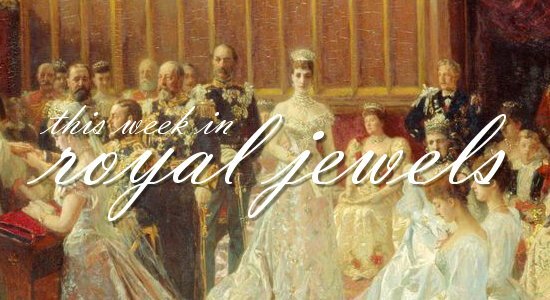 Lots of royals descended upon New York this week, bringing lots of jewelry with them. Don't forget to vote for your favorites in the poll below! 14. Queen Letizia of Spain chose a playful pair of gold earrings shaped like prawns for a visit to a school in Marratxi on Thursday. 13. 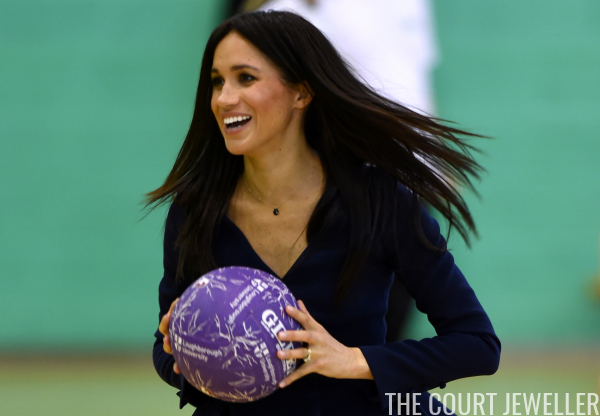 The Duchess of Sussex wore a rose gold, diamond, and onyx pendant necklace from Pascale Monvoisin for Monday's Coach Core Awards at Loughborough University. 12. 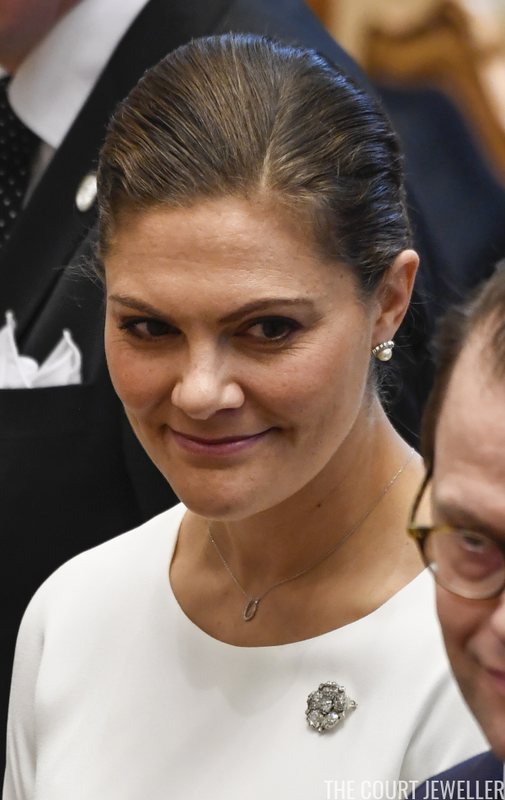 Stacked bracelets and rings were the accessories of choice for Princess Lamia Al Saud (a granddaughter of King Saud of Saudi Arabia) as she spoke onstage during the 2018 Concordia Annual Summit on Tuesday in New York. 11. 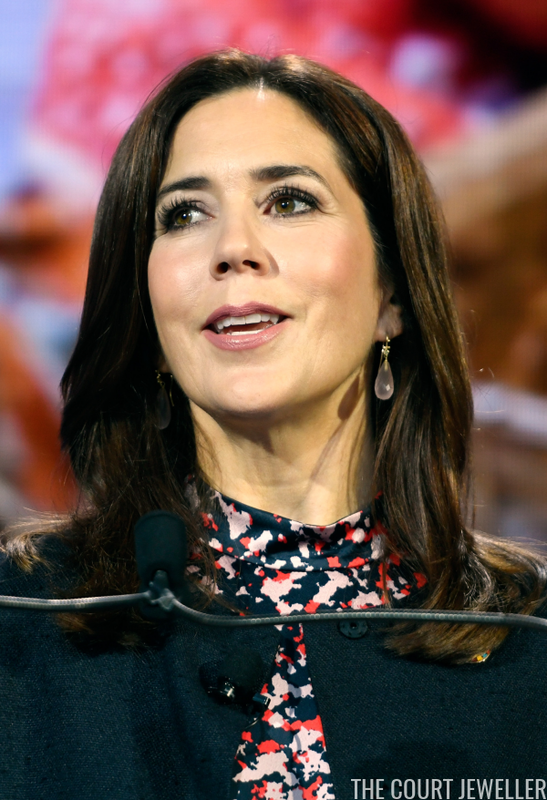 Also in attendance at the Concordia Summit in New York was Crown Princess Mary of Denmark, who wore lovely earrings with pale pink drops as she delivered remarks on Monday. 10. 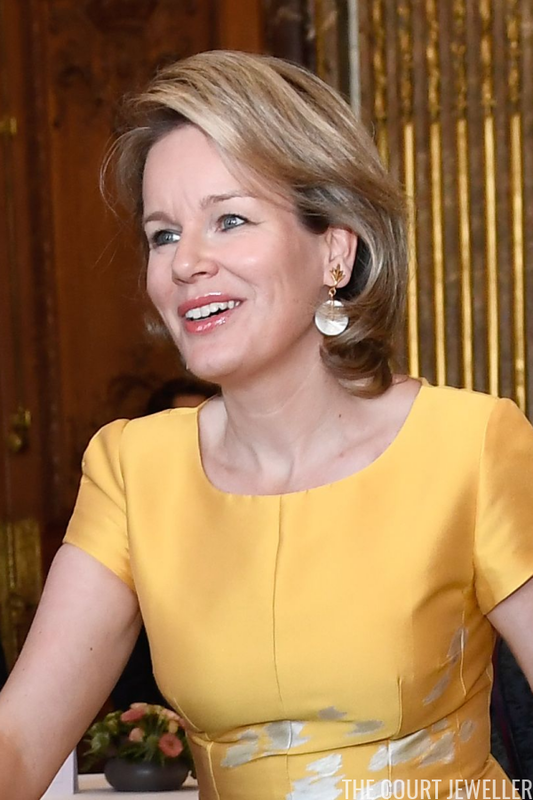 Queen Mathilde of the Belgians wore a pair of gold earrings with pearlescent disc drops to meet with some of Belgium's champion athletes at the Royal Palace in Brussels on Thursday. 9. 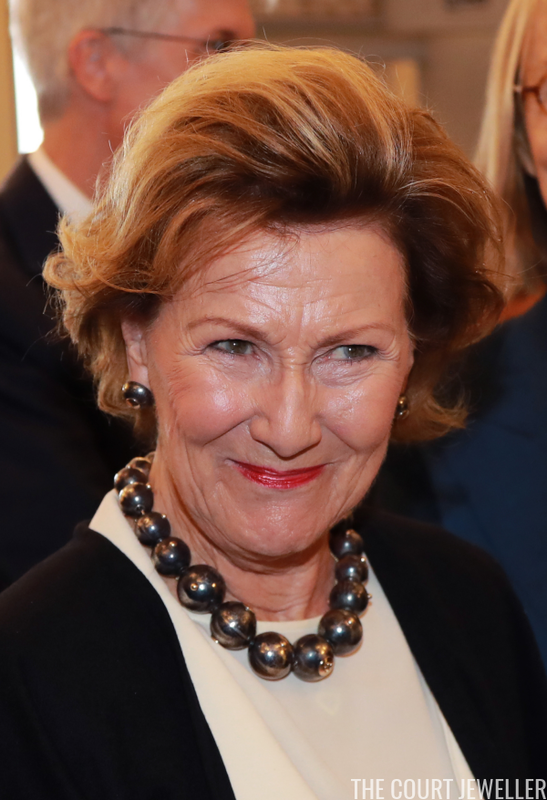 Queen Sonja of Norway has been on a visit to France this week, and for Sunday's visit to the National Ceramics Museum of Sevres, she wore a suite of beaded jewels with a distinctive bronze hue. 8. 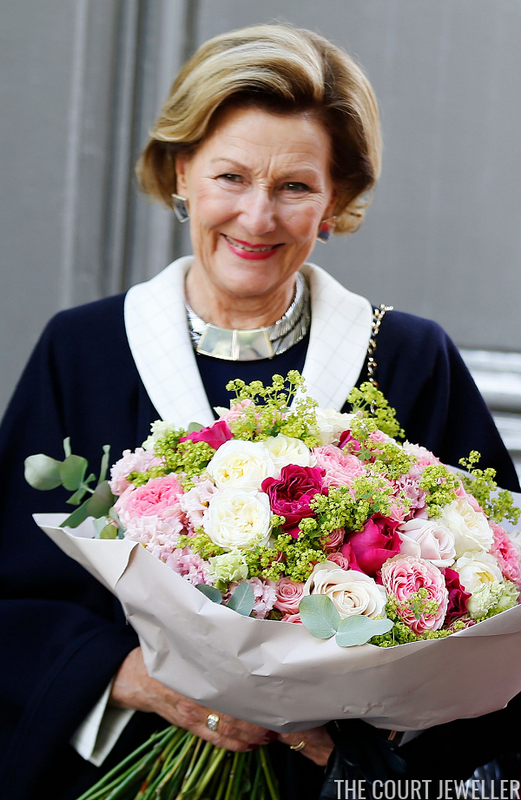 For Monday's visit to the Pierre Corneille high school in Rouen with Brigitte Macron, Queen Sonja wore the earrings and necklace from one of her suites of modern metallic jewels. 7. 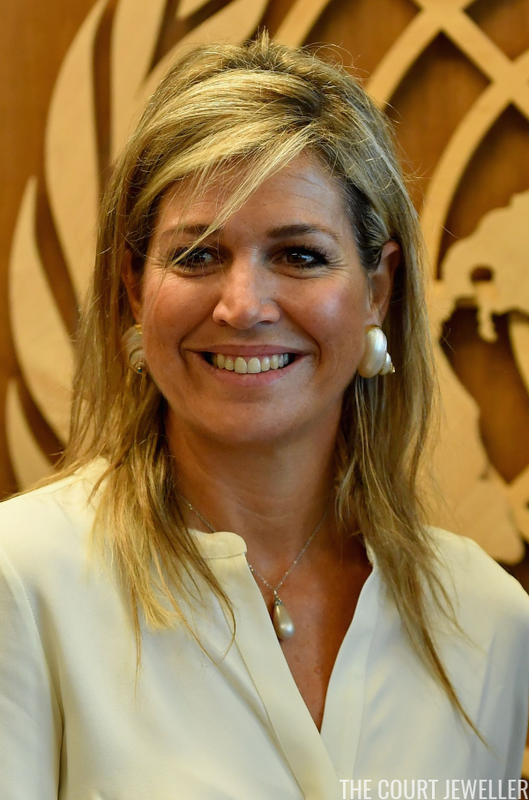 To deliver her annual report at the United Nations in New York on Wednesday, Queen Maxima of the Netherlands wore her pearly shell earrings with a pearl drop pendant necklace. 5. 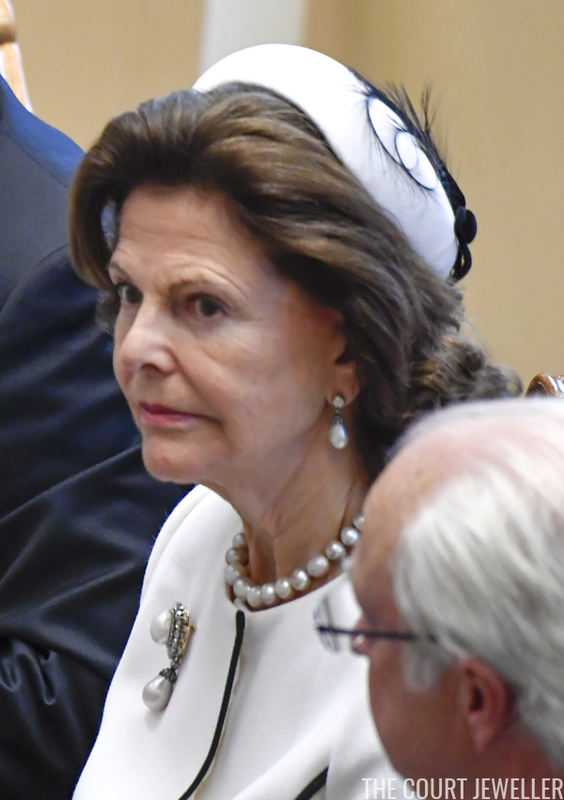 Crown Princess Masako of Japan wore pearls with a lovely, classic brooch on Tuesday to attend a reception for the World Social Science Forum at the Fukuoka International Congress Center. 3. 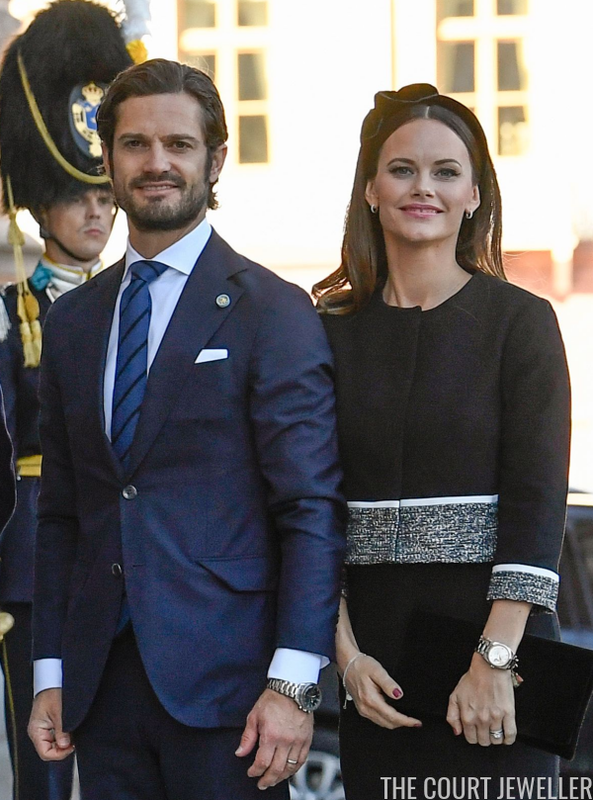 Camilla of Bourbon-Two Sicilies sparkled in a major pair of geometric gem-set earrings on Tuesday for Fashion 4 Development's 8th Annual Official First Ladies Luncheon in New York. 1. Princess Charlene of Monaco sparkled in diamond stud earrings and a glittering diamond cuff bracelet with a lattice pattern for Wednesday's second annual Monte-Carlo Gala for the Global Ocean.